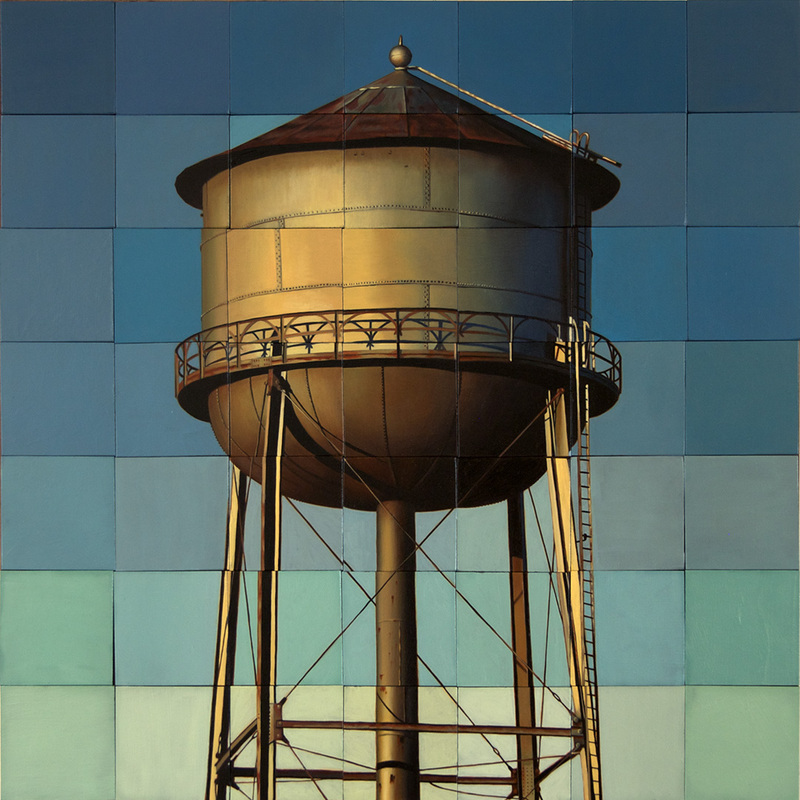 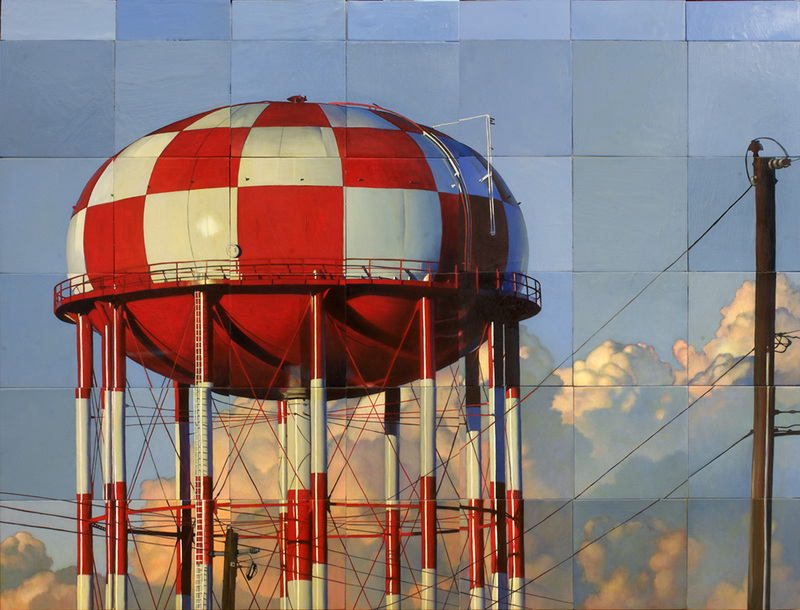 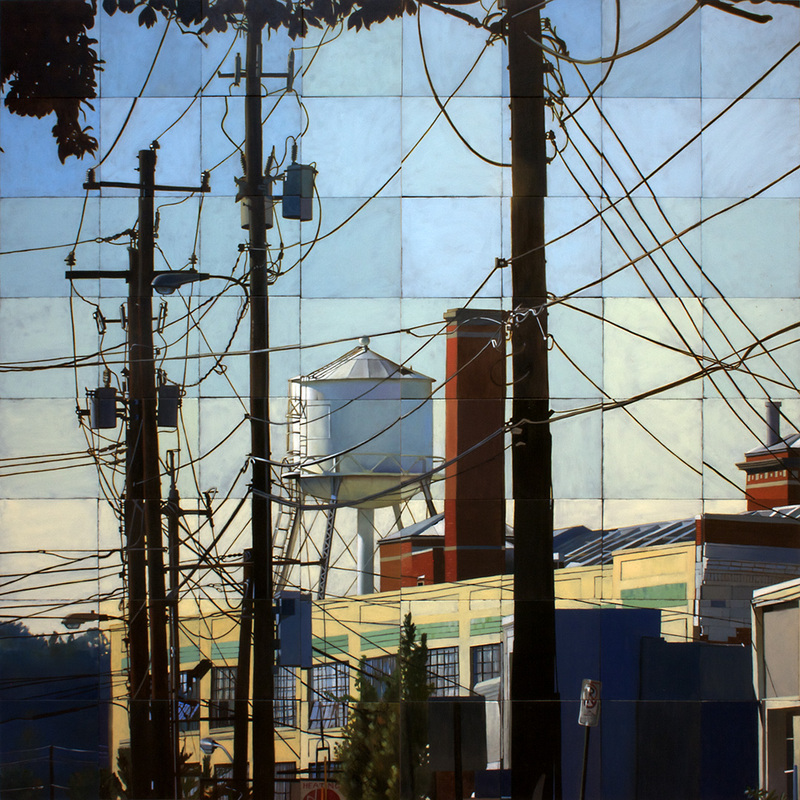 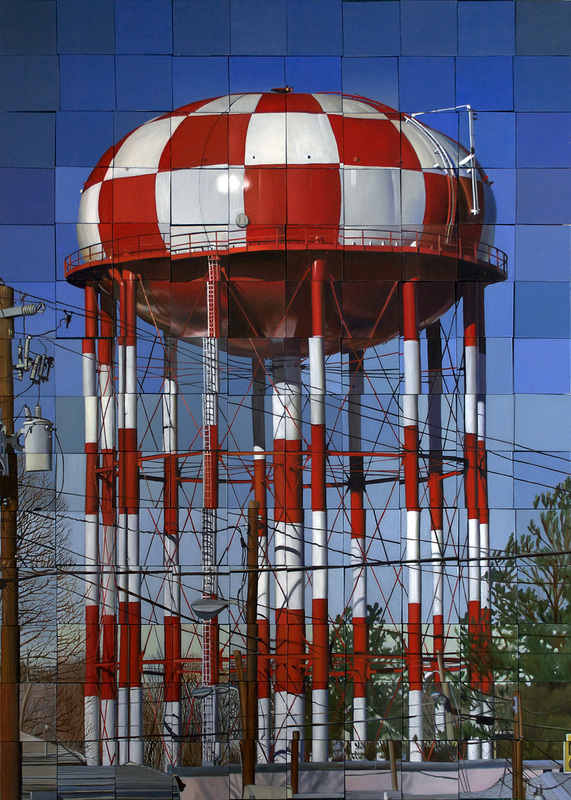 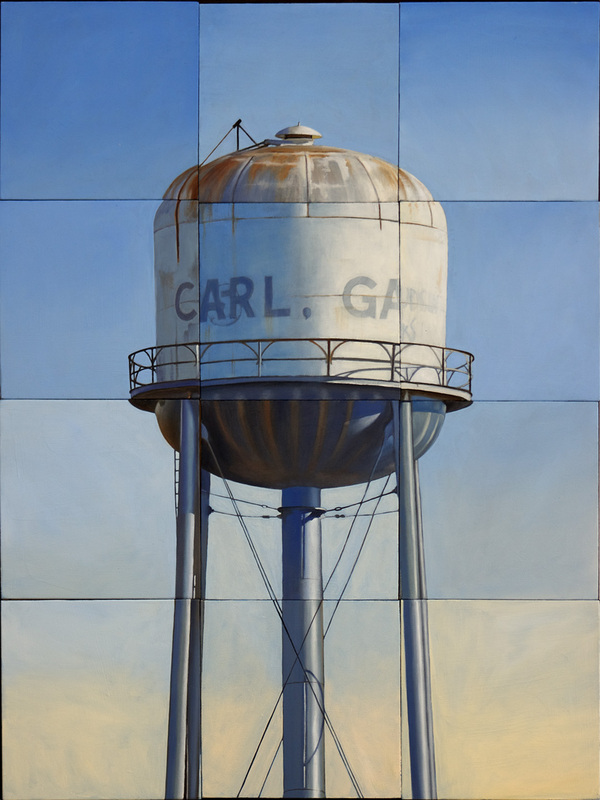 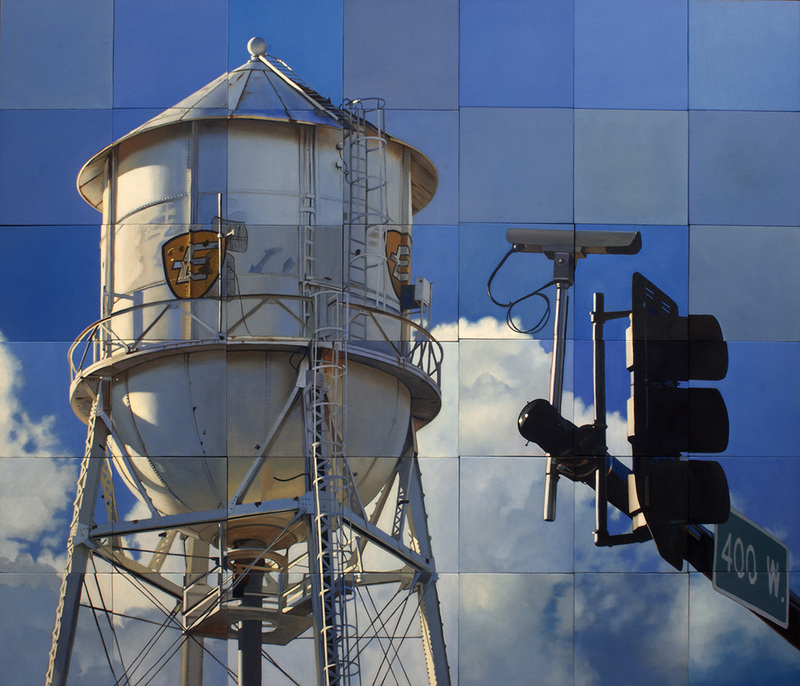 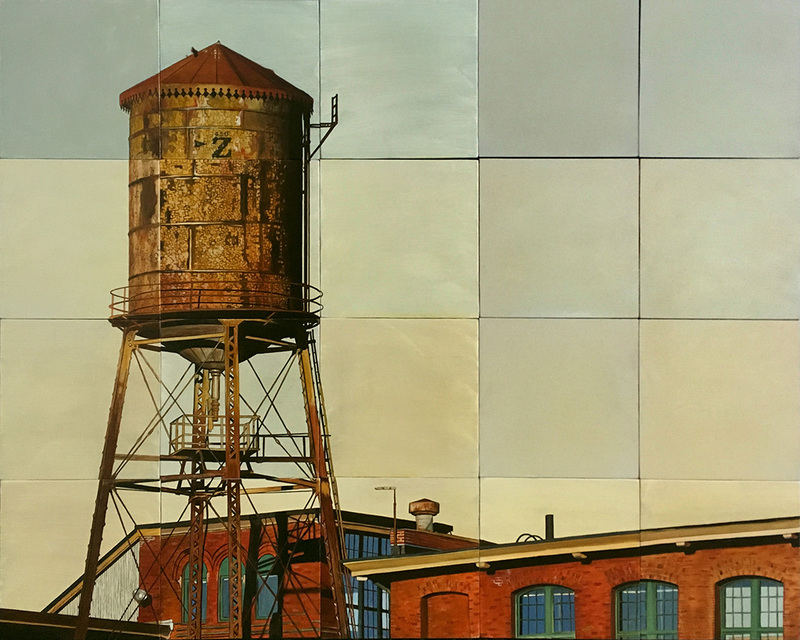 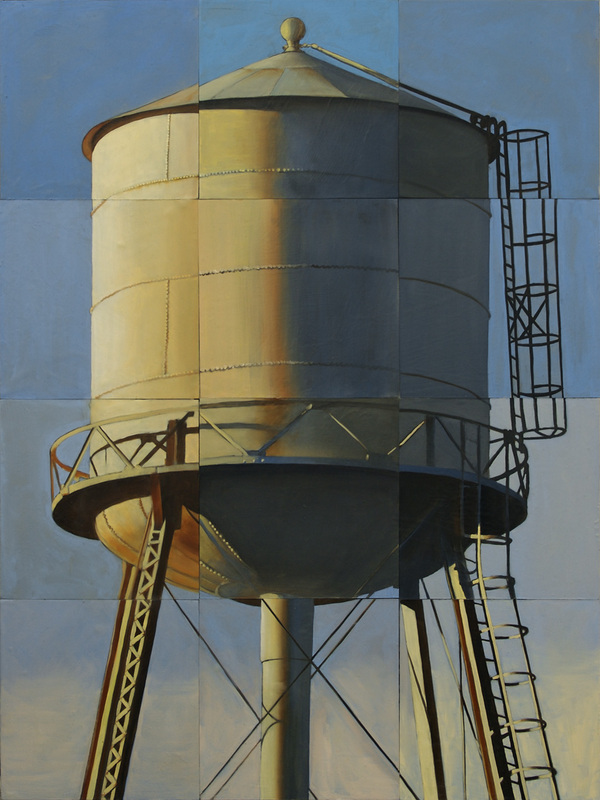 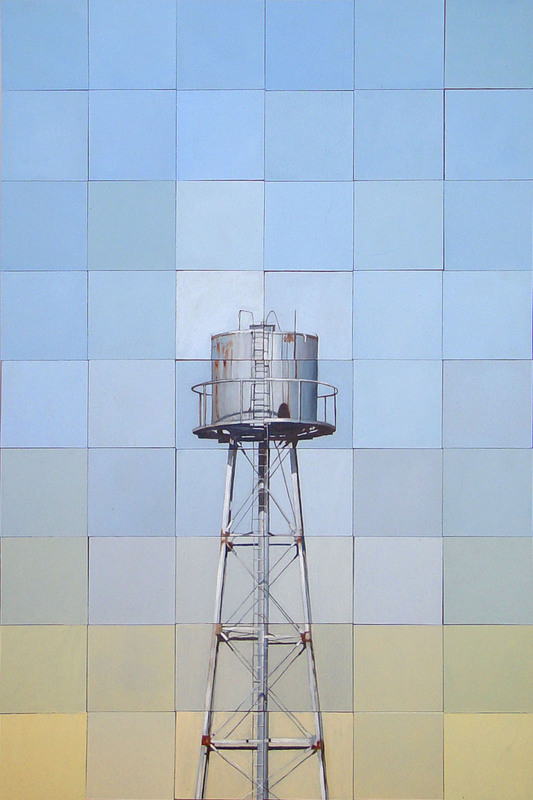 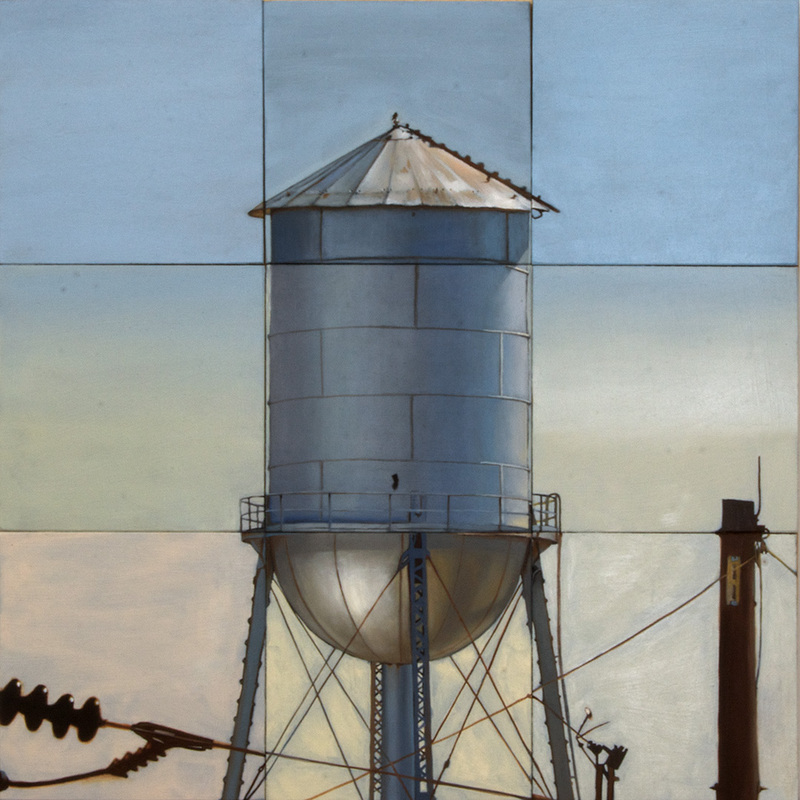 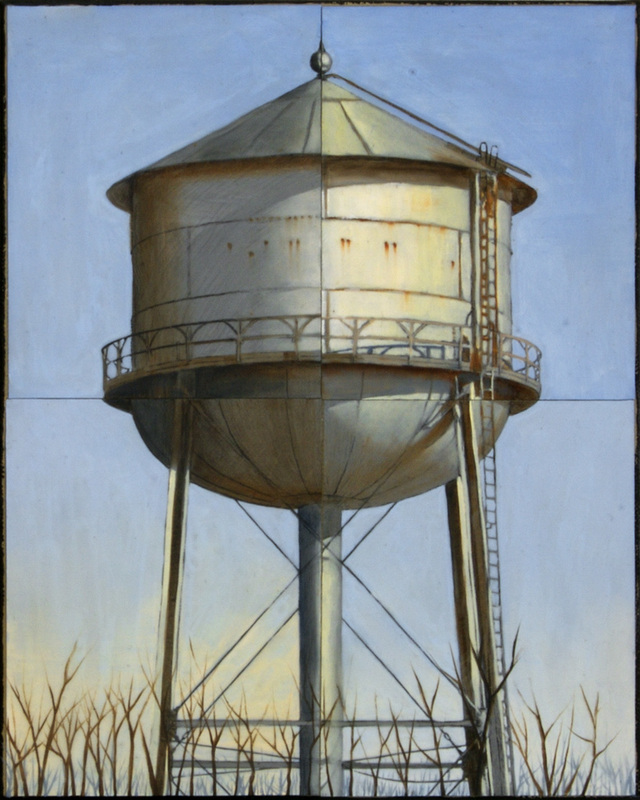 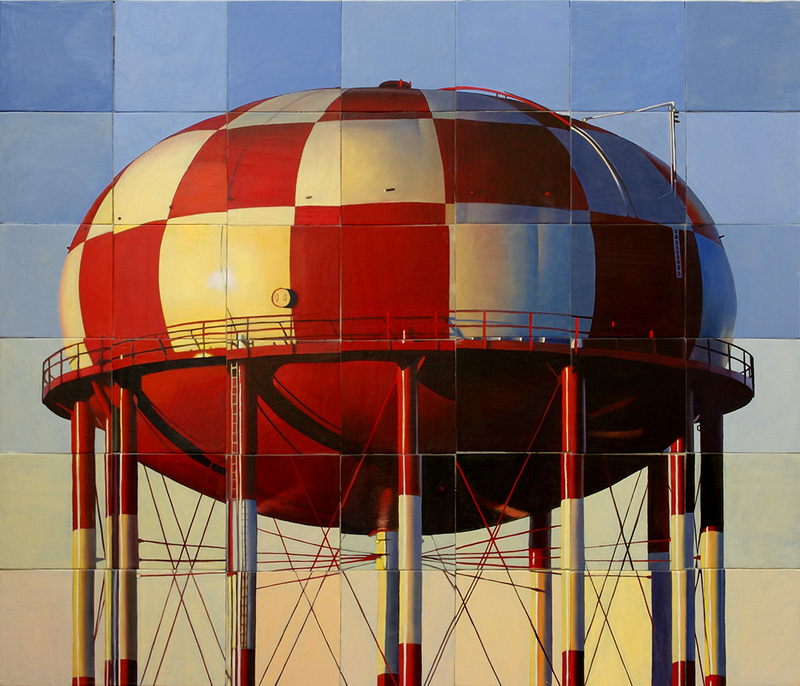 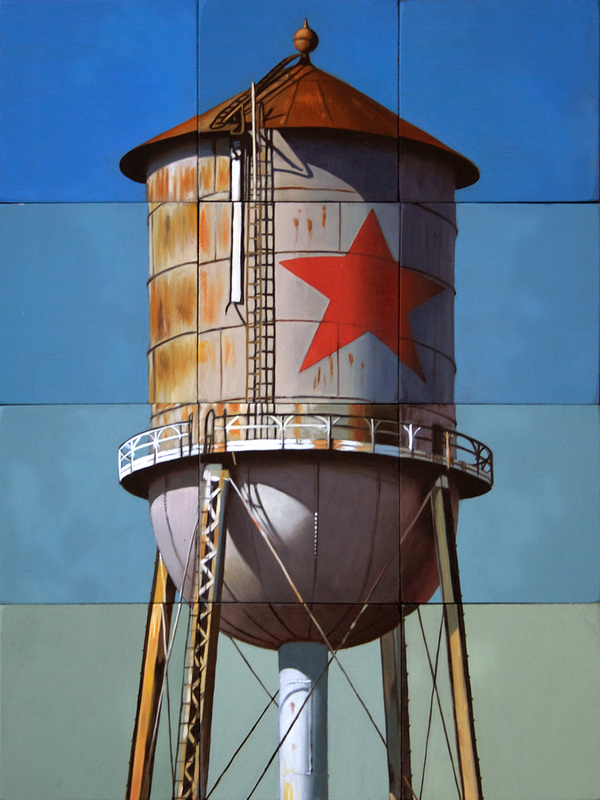 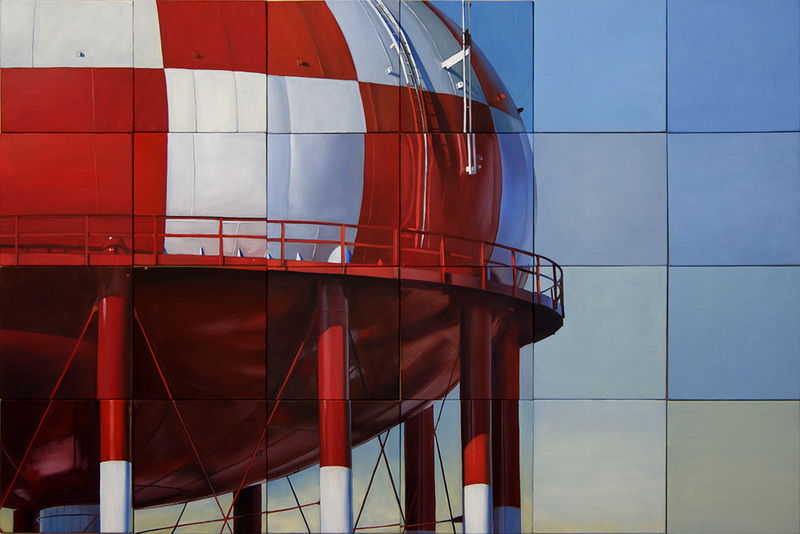 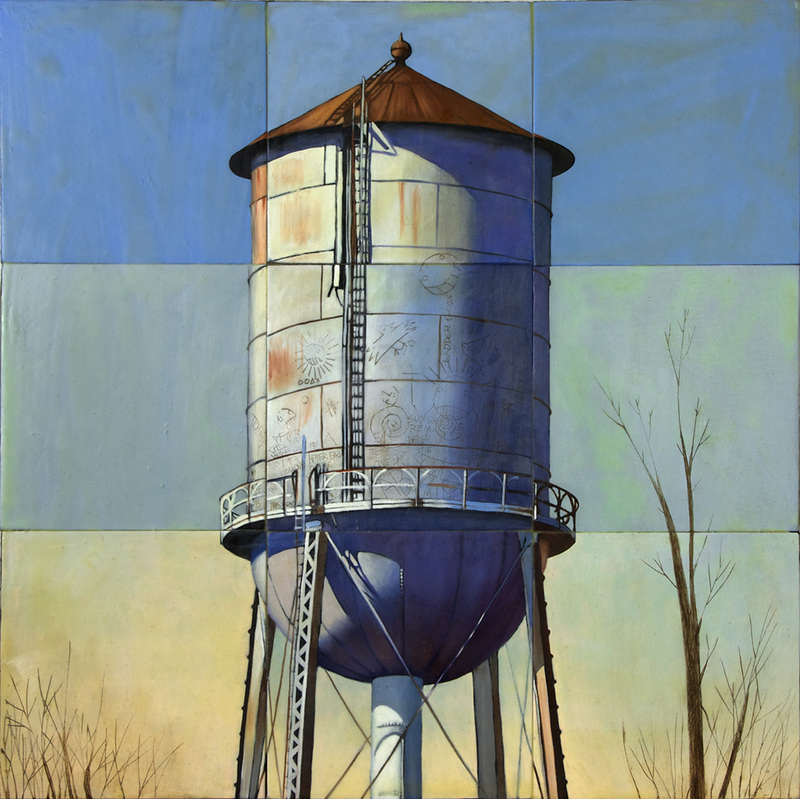 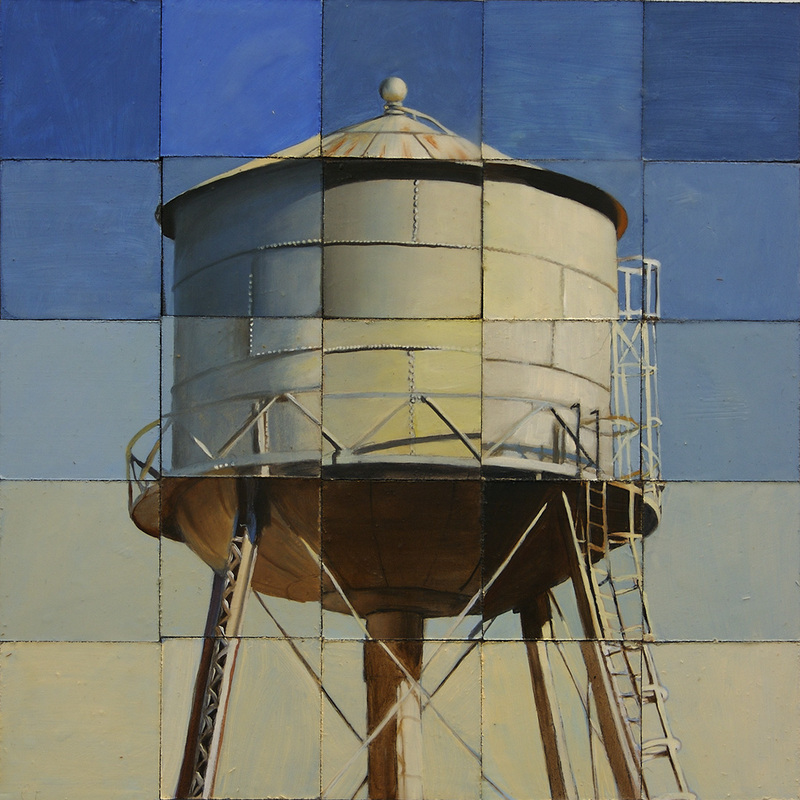 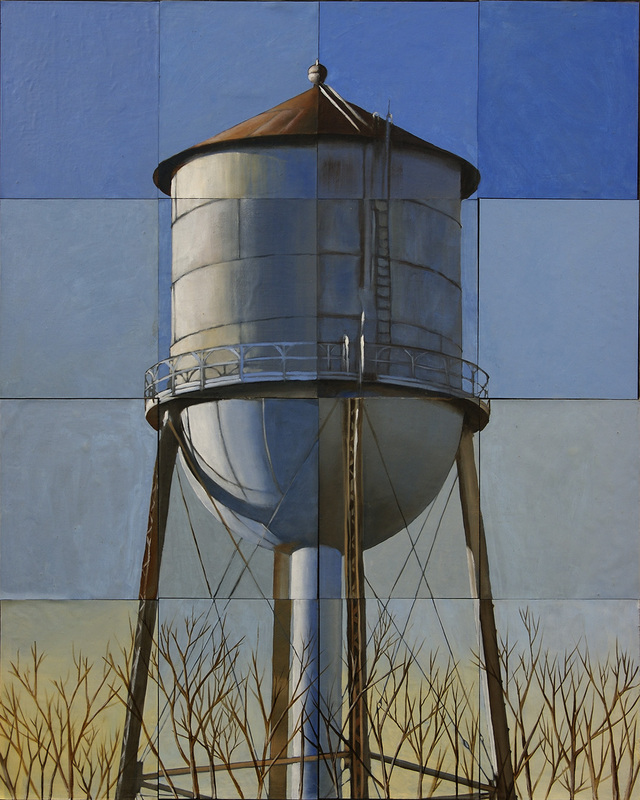 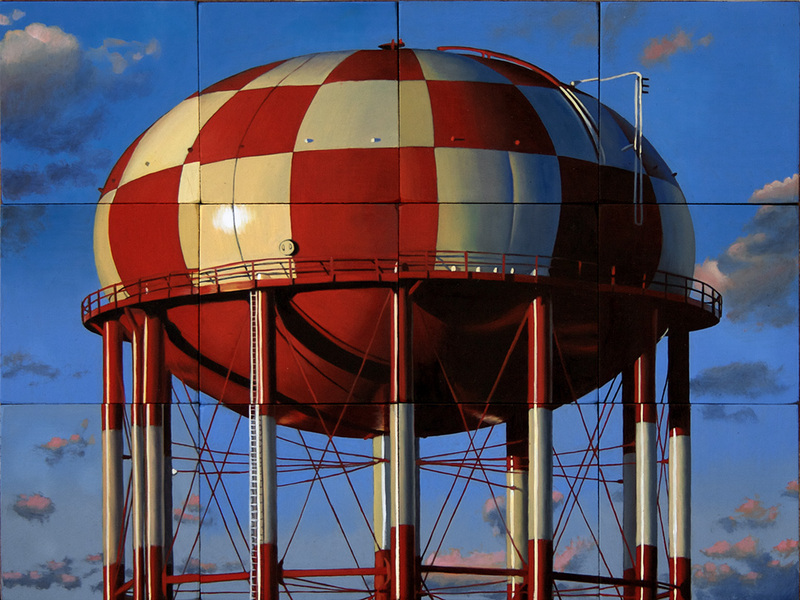 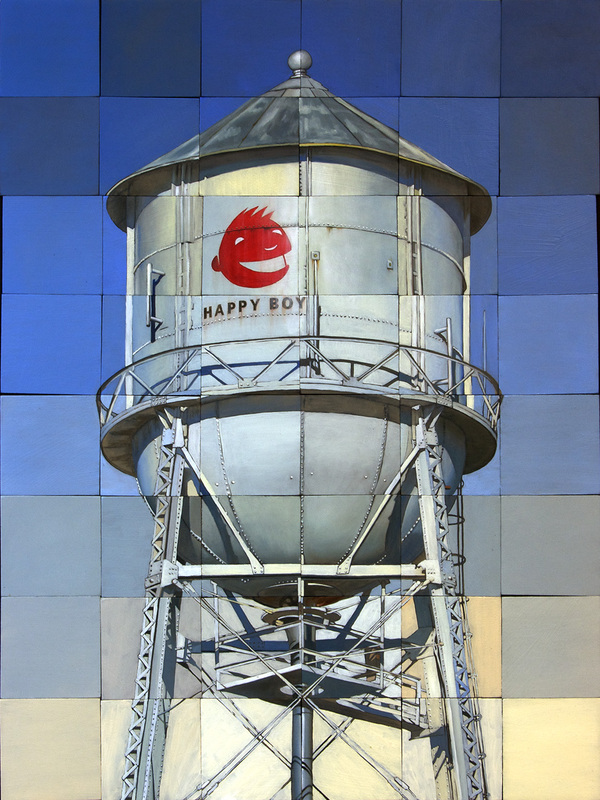 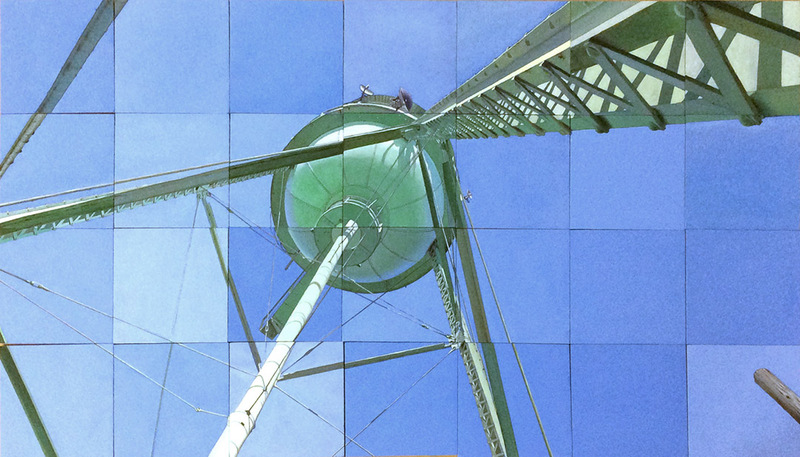 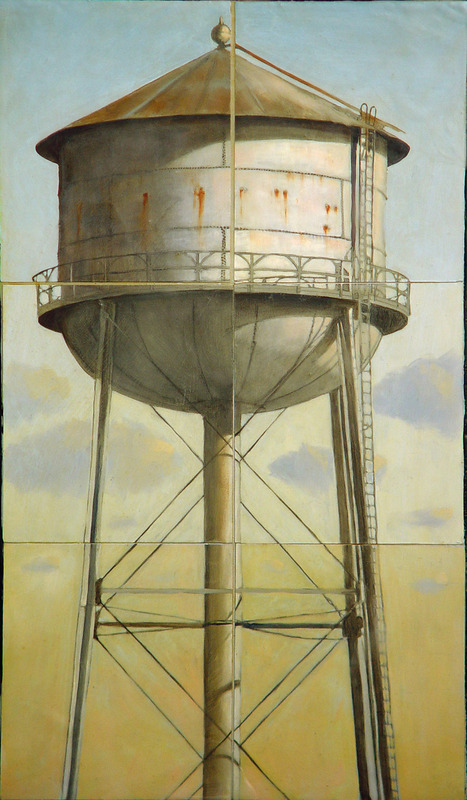 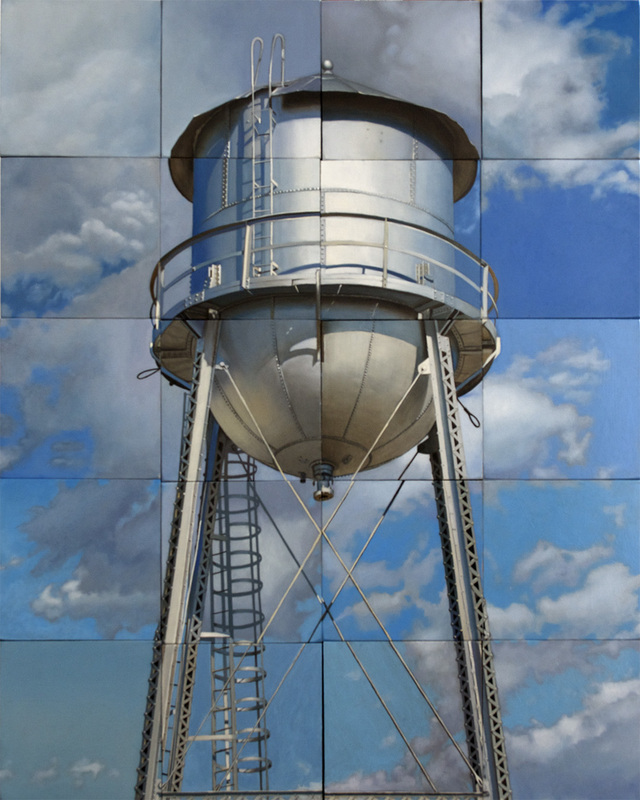 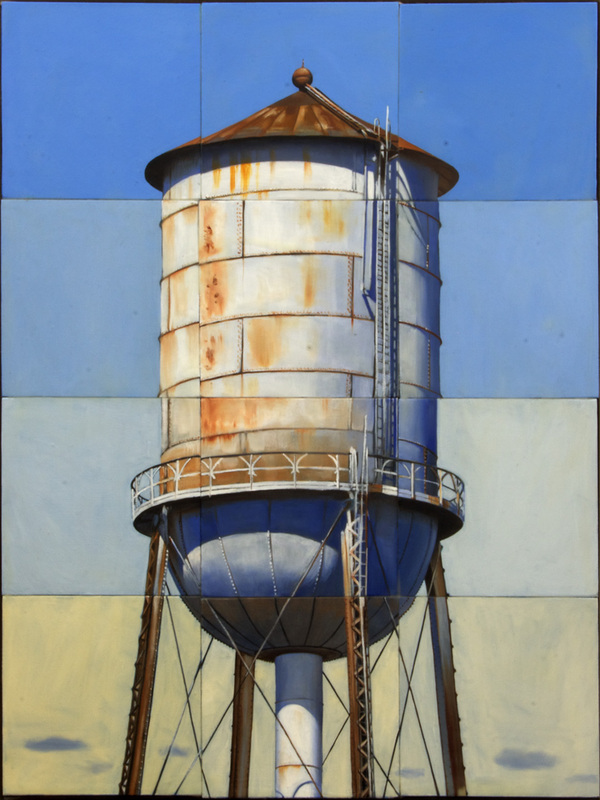 – Water towers are landmarks. 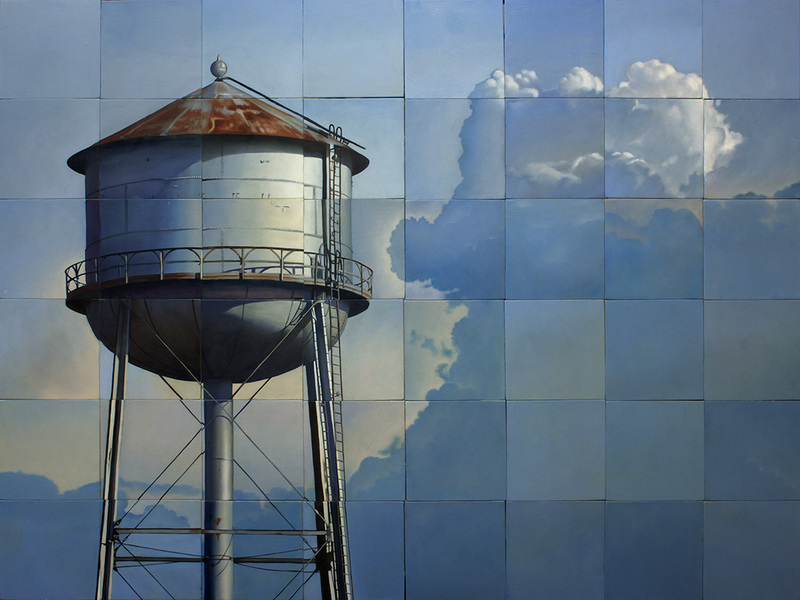 They can connect us with memories of childhood vacations. 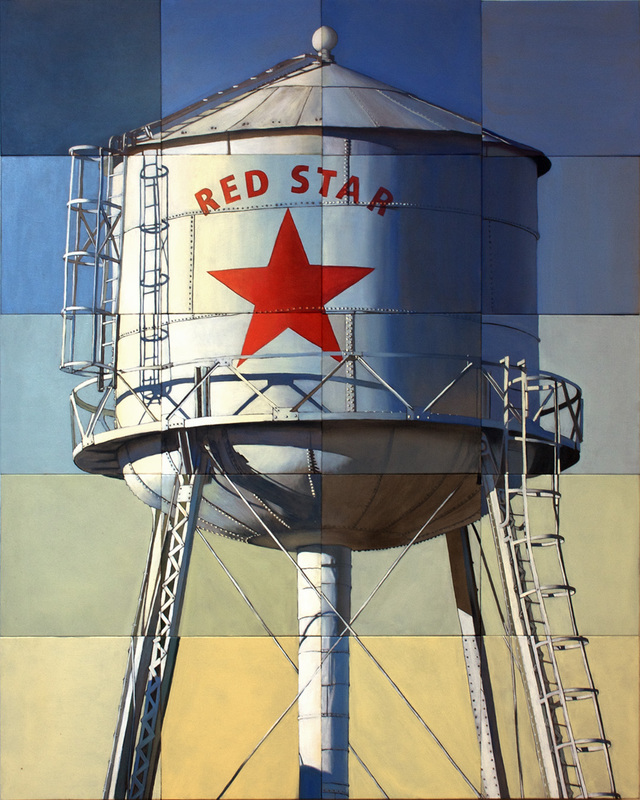 Many of them are relics of Americana, evoking memories and feelings of nostalgia. 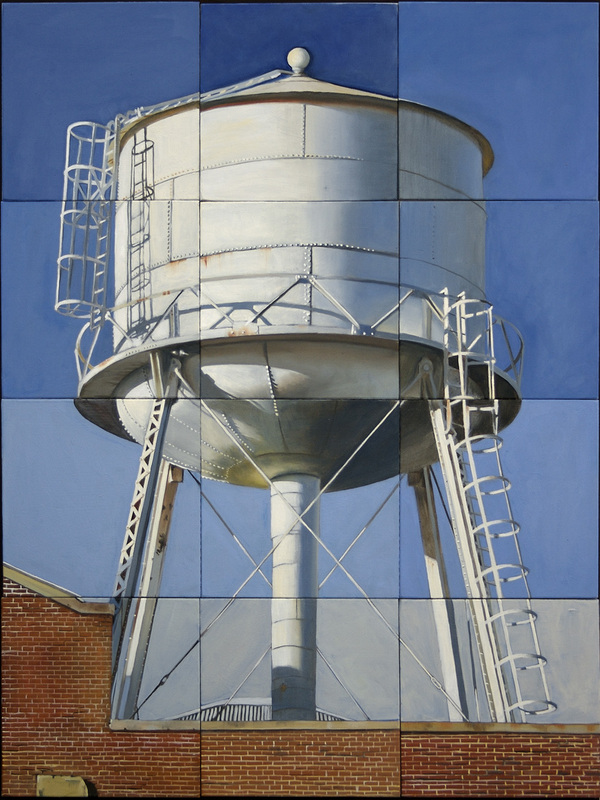 I find them wherever I go and take photos for painting reference, but I also take lots of liberties with my compositions.